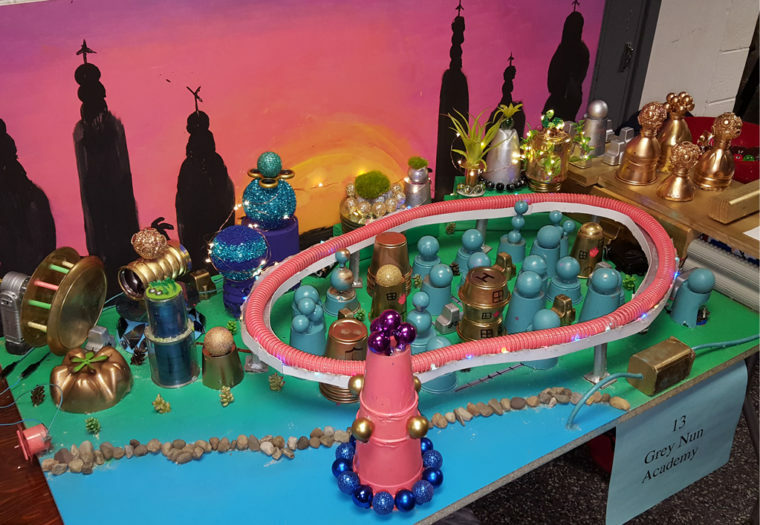 Philadelphia Students Design the Resilient Cities of the Future - Arora Engineers, Inc.
Arora was very proud to once again sponsor the Philadelphia Regional Future City Competition held on January 19, 2019. 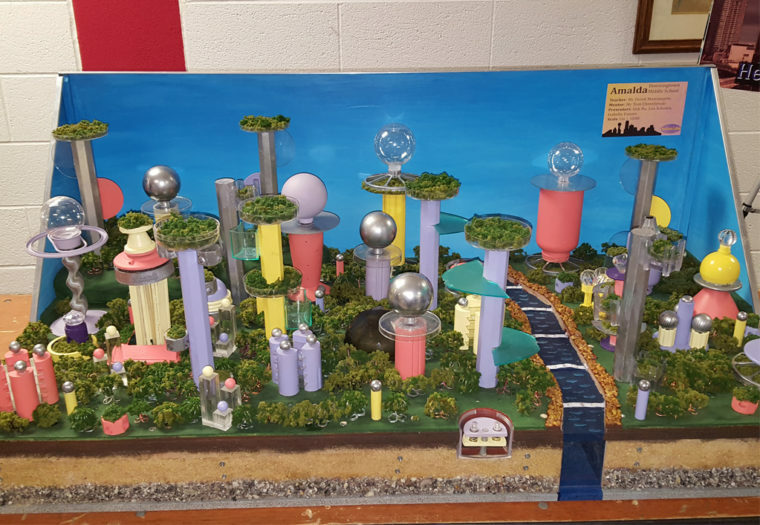 Future City is a national, STEM-based learning competition in which 6th, 7th, and 8th grade students team up to envision, design, and build a city that exists at least 100 years in the future. Each year, the competition addresses a current sustainability issue. 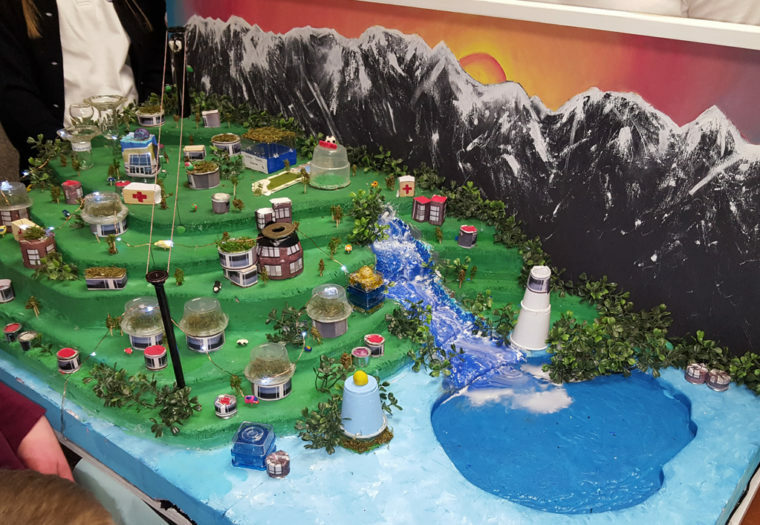 This year’s theme, “Powering Our Future,” challenged participants to design a resilient power grid for a future city that can withstand and quickly recover from the impacts of a natural disaster. Thank you to Arora’s Allan Stock, AIA, Edward Hart, RCDD, and Siuma Montero Carranza, who volunteered their time throughout different phases of the competition. Congratulations to Downingtown Middle School, the first-place winner in this year’s competition, and to St. Aloysius Academy, the winner of Arora’s “Rethinking Infrastructure to Power the Future” award. Congratulations to all the winners and participants!